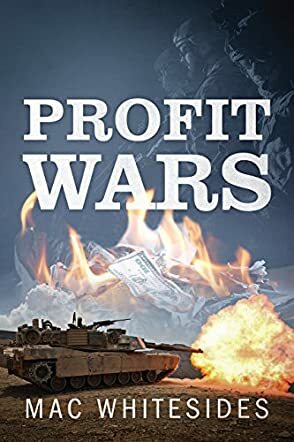 Profit Wars by Mac Whitesides is an intriguing tale with an international setting between Atlanta and Romania in 2020, a novel with a strong appeal to fans of military thrillers. Jake Thompson is a broken man, a man grieved by the murder of his family, a crime he witnesses. Things get complicated for him when his company, Global Force Protection (GFP) — that employs skilled mercenaries to fight terrorism and revolutions around the globe — is involved in corporate malfeasance. His attempt to get his boss to look into the financial issue affecting the company gets him a cold response and a new assignment to Romania. There he meets Nurit and Naomi, the two surviving twin sisters of his adopted daughter, who was killed together with his wife. He witnesses Nurit's murder and finds himself on the run with Naomi. But is Naomi who she claims to be? The revelations will surprise readers. It is evident that Mac Whitesides has a gift for plot and character. Jake Thompson is a character with a lot on his plate, a man going through deep emotional turmoil. He is intelligent and deeply flawed, a man who appears to trust easily. A driven man who never minds working long hours and going home late. But he is quickly tossed into a whirlwind that will carry him to places he never envisaged. The story is well researched and this shows clearly in how the author weaves concepts of the economy, contemporary monetary trends, and the stock market into the narrative. The setting is in the future and technology is growing. In spite of that, the realism written into the story makes it believable. Profit Wars is a realistic military thriller told around a new model of combating terrorists and while it offers great entertainment to readers, it poses powerful social and security questions that we may have to answer in the near future. It is deftly written, with dialogues that are interesting and plot driven.